185 luxurious hotelrooms and 22 modern conference rooms with free Wi-Fi. Your guests will lack for nothing. A contemporary restaurant and a cosy hotel bar. Lovely food and drinks in an informal setting. A modern wellnesscenter, fitnesscenter and pool with stunning view of Utrecht. Allow yourself a well-earned break, for body and mind. Within cycling distance of the historical heart of Utrecht. A wonderful weekend starts with us. Directly on the A12 and easily accessible by public transport. You can park your car in our parking garage at a reduced rate. Take a refreshing dip in the swimming pool, located on the 20th floor of the hotel. In addition to a luxurious swimming pool, our wellness offers saunas and fitness. With our new brunch we make your Sunday extra special. Enjoy as couple, with friends or family our extensive brunch with live cooking. And the children? They have the possibility to make homemade pizzas and cookies from their own children's kitchen. 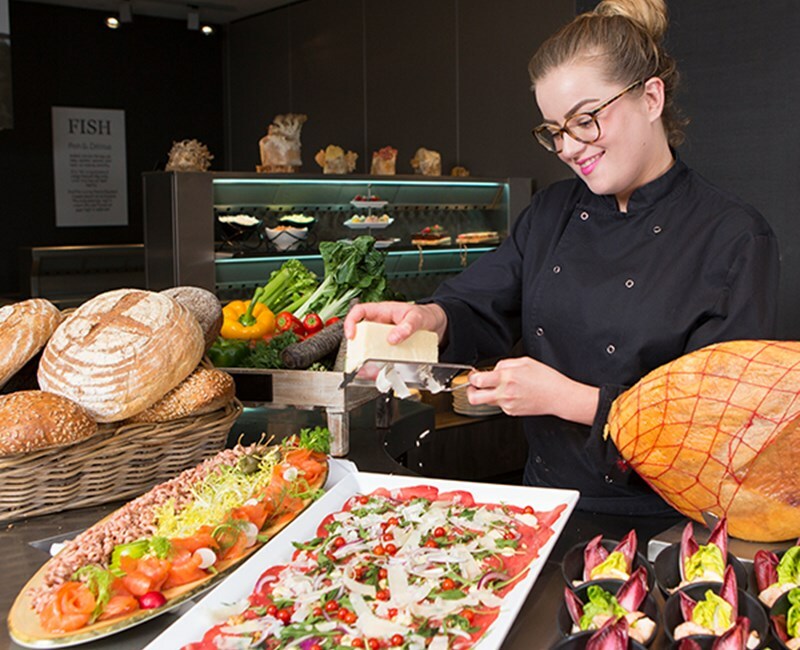 From 26 August to 30 December 2018 you can meet our new brunch with € 5.00 per person discount! We offer every luxury and comfort to make your meeting a great success. From small to large groups. With us, everything is possible! 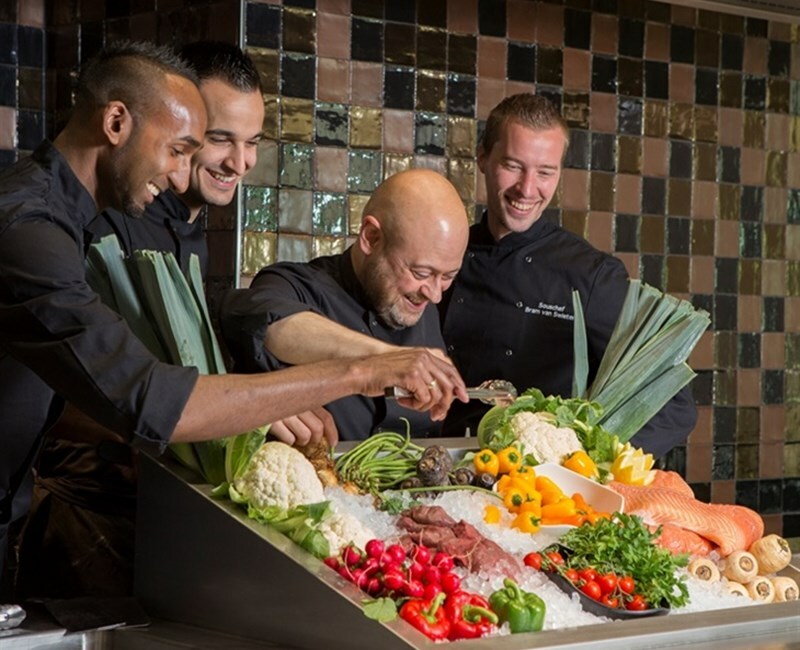 Every Saturday we prove an extensive Live Cooking buffet from our open kitchen. Combine with an overnight stay in one of our spacious and attractive hotel rooms. A city with a unique dynamic and the beating heart of the Netherlands. Small enough to discover the medieval city center on foot. Big enough to spend days enjoying festivals, modern architecture, trendy shops and surprising museums.